Joe Raelin is an international authority in work-based learning and collaborative leadership development. He has over 100 articles appearing in the leading management journals. Among his books are: The Clash of Cultures: Managers Managing Professionals, considered now to be a classic in the field of professionals and bureaucracy, Work-Based Learning: Bridging Knowledge and Action in the Workplace, Creating Leaderful Organizations: How to Bring Out Leadership in Everyone, and now to accompany the latter, The Leaderful Fieldbook: Strategies For Developing Leadership in Everyone. Joe Raelin is an international authority in work-based learning and collaborative leadership development. 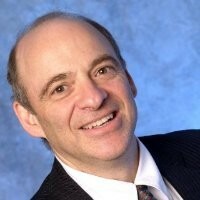 He holds the Asa S. Knowles Chair of Practice-Oriented Education at Northeastern University and was formerly Professor of Management at the Wallace E. Carroll School of Management at Boston College. He received his Ph.D. from the State University of New York at Buffalo. His research has centered on human resource development, focusing in particular on executive education through the use of action learning. He is a prolific writer with over 100 articles appearing in the leading management journals. He is also a management consultant with some thirty-five years of experience working with a wide variety of organizational clients.